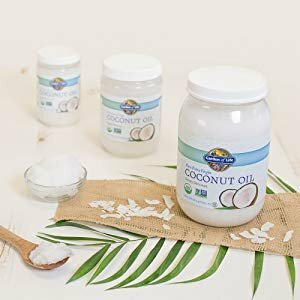 Amazon.com offers the Garden of Life Organic Extra Virgin Coconut Oil 14 Ounce for $6.64. Features: We take raw organic coconuts and carefully cold-press them (never bleaching, refining, deodorizing or hydrogenating) locking in flavor and nutrition. Our Raw Organic Extra Virgin Coconut Oil is naturally rich in Medium Chain Triglycerides (MCTs) supplying natural energy to your body.